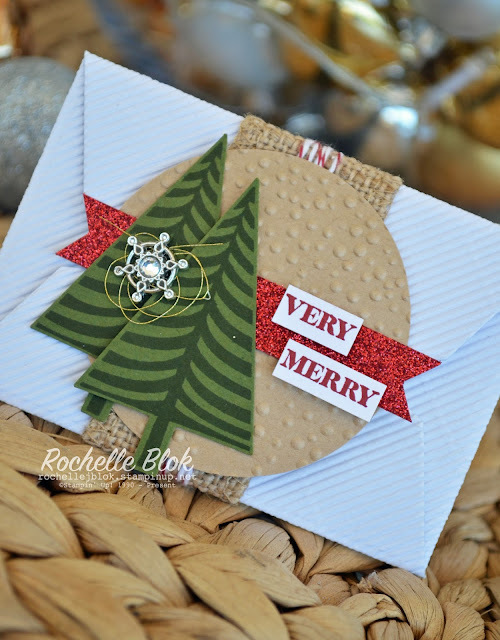 Hello and a big welcome to you, to our very last Stamp Review Crew Blog Hop for the year. We are finishing with a fabulous Christmas stamp set that has been around for a little bit, Festival of Trees. This is such an awesome set and there are so many fabulous ideas out there! I love the all the different tree images that give you a different look and feel to your creation with each one. 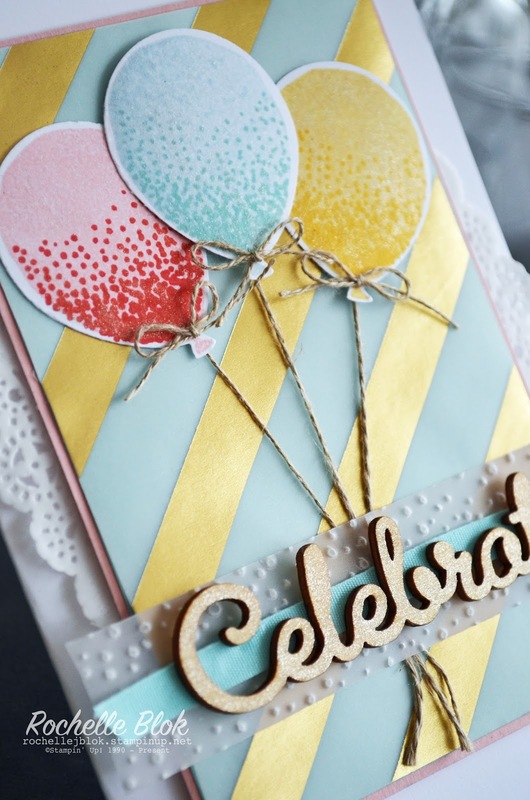 Seeing as there are now only 4 more sleeps till the big day I wanted to create something that you could easily make for that last minute card. I know we all have one of those that we need to whip up in a hurry and I',m sure this one would take you no time at all to quickly do. 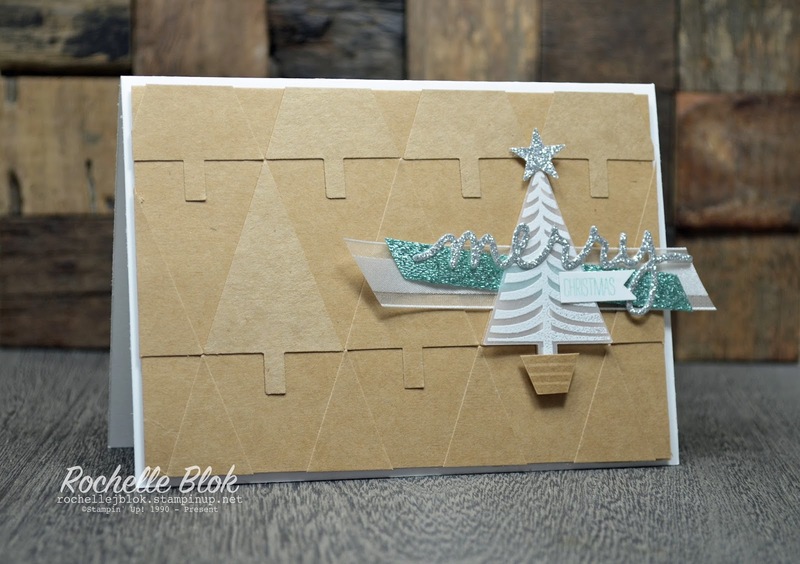 I used the tree punch to punch out a heap of trees out of Kraft Cardstock to create my own background. If you wanted to make it a bit more fancy you could stamp one of the tree images first and then punch them out for a different background again. I wanted to keep the background looking clean and neutral. I embossed the tree image on vellum with White Stampin' Emboss Powder and then embellished the card with some ribbons and glimmer paper. How pretty is that new Pool Party Glitter Ribbon coming out in the new Occasion Catalogue starting 5th Jan 2016. It works really well with Christmas creations too. The 'merry' is from the Christmas Greeting Thinlits and the 'Christmas' is actually from one of the sentiments from the Festival of Trees Set, I just trimmed it down so I could only have the word 'Christmas' and not the rest of the sentiment. If you're hopping in reverse click here to hop on to Nancy Smith. To see the full list of participants visit the Stamp Review Crew site. 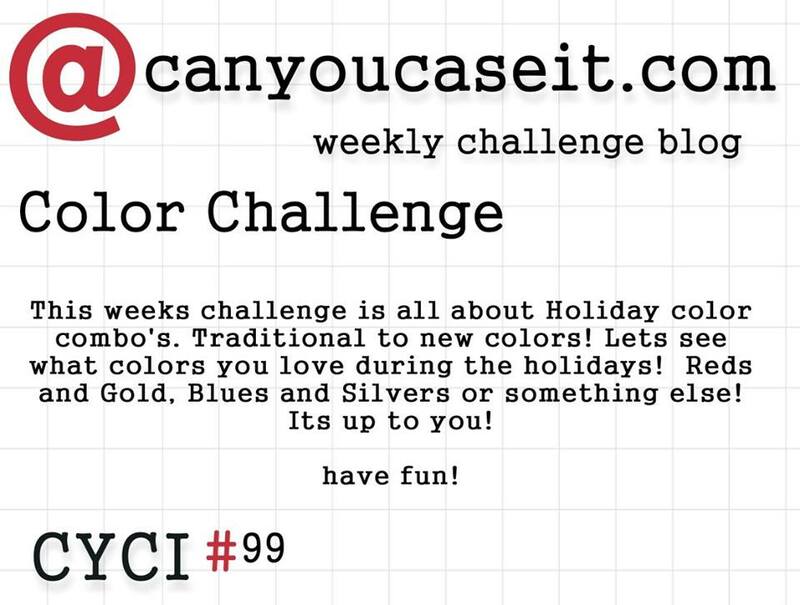 Welcome to the 100th challenge for Can You Case It? 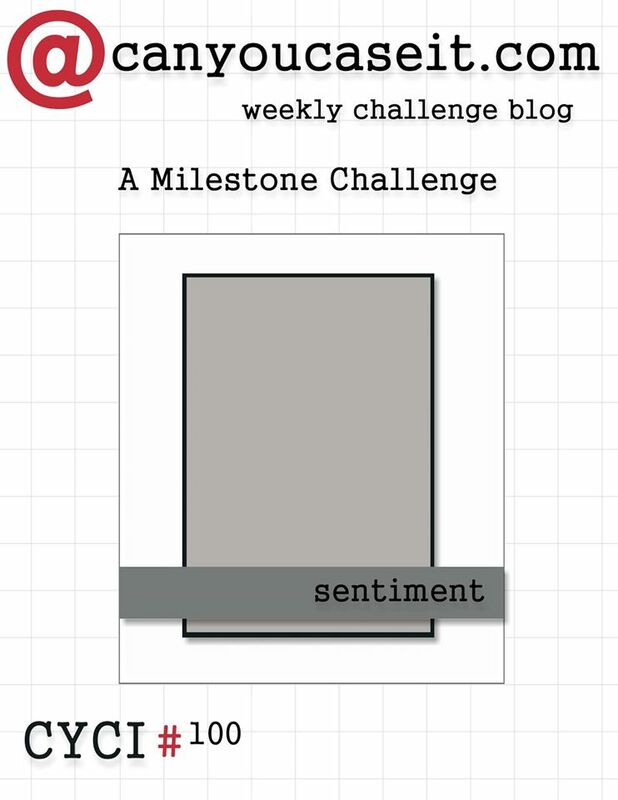 It is a huge milestone for the CYCI team and we are celebrating with a special Can You Case It? 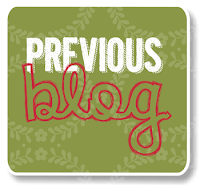 Blog Hop and some prize giveaways as well. I've only been with the Can You Case It? team for a short while but it has been so much fun. I love that I have 'meet' some wonderful people and it has made me hideaway in my crafting space at least once a week, my perfect place, to get my creations completed for each weeks challenge. I'm so looking forward to being on this Design Team again next year with these fabulous people and getting stuck into some more creating! Whats a party without balloons?? 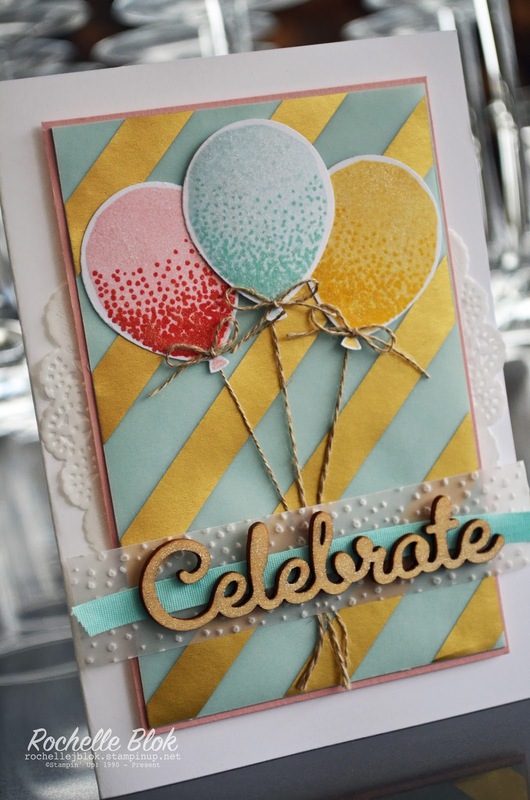 Got to have some balloons at a party and what a perfect time to break out my new Stampin' Up! stamp set Balloon Celebration. This is a other two-step stamp set and the layers of each image give you some beautiful results. The balloons come in two different sizes and yes there is a co-ordinating punch. WOOHOO! 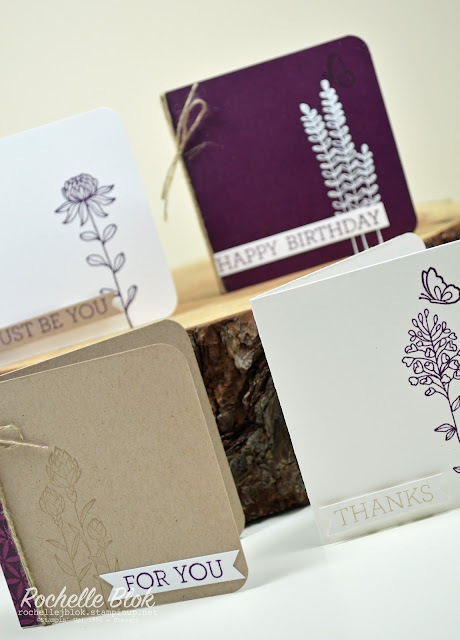 These are just a few of the new products that will be on offer in the new Stampin' Up! Occasions Catalogue starting 5th Jan 2016. I used the new Wink of Stella Clear Glitter Brush on the balloons and the 'Celebrate' to give it some shimmer and sparkle. I love the subtle shimmer it gives to your creations without it being overly glittery! 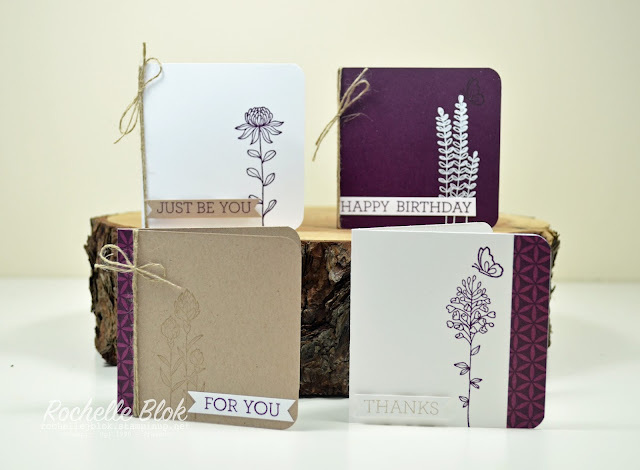 I'm giving away a pack of Stampin' Up!s Go Wild 6"x6" Paper Stack. You have till Jan 1st 2016 to leave a comment here to go in the running to win this paper stack. Good Luck. Here are the links to follow on the rest of the hop. 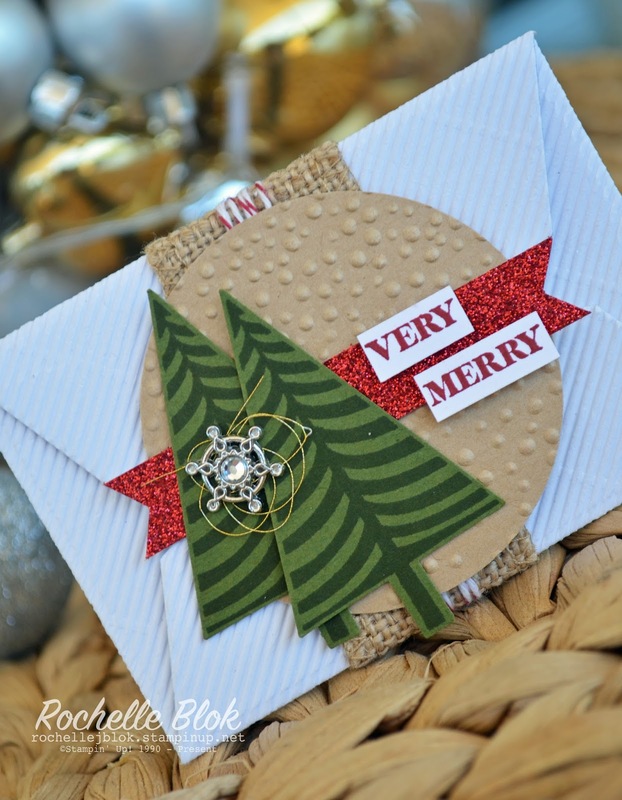 Click on to Candy's Blog to see what creations she has in store for you. I really hope that you have been inspired by this hop and don't forget that this still is a challenge so come and visit the Can You Case It? page and enter your creation to for your chance to be one of the the Design Team Members Winning Picks. Below is a list of all the items that I used in this project. If you live in Australia and would like to purchase and of these items used then just click on the image and you will be directed to my online store. I can't believe that we are up to the last Just Add Ink Challenge of the year. It's been a fantastic, crafty year and I have loved seeing every one's creations for those who have entered in the challenges and have gained a tonne of inspiration from you all too. 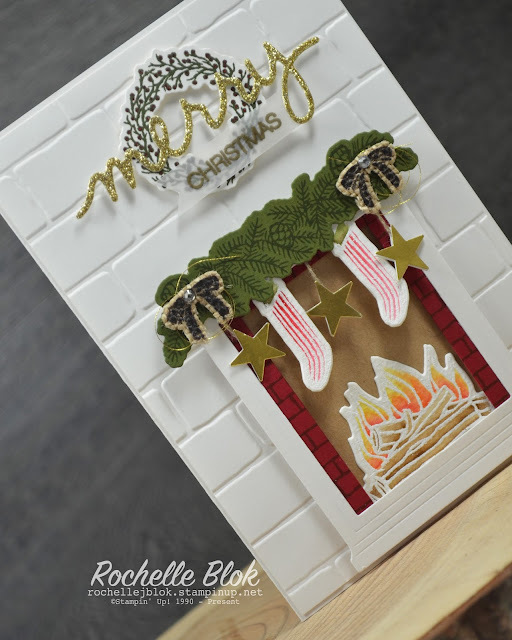 This weeks challenge is Just Add A Gift Card to which I interpreted it to be a gift card holder but you can make it a gift card that accompanies a gift as well. It's up to you what you decide to create. I remembered that I had the Gift Card Envelope & Trims Thinlit dies (haven't used it for a bit. Oops) and I even had to look in the Stampin' Up! 2015 - 2016 Annual Catalogue to see if you can still get them (another Oops). I die cut the envelope out of the White Corrugated Cardstock. 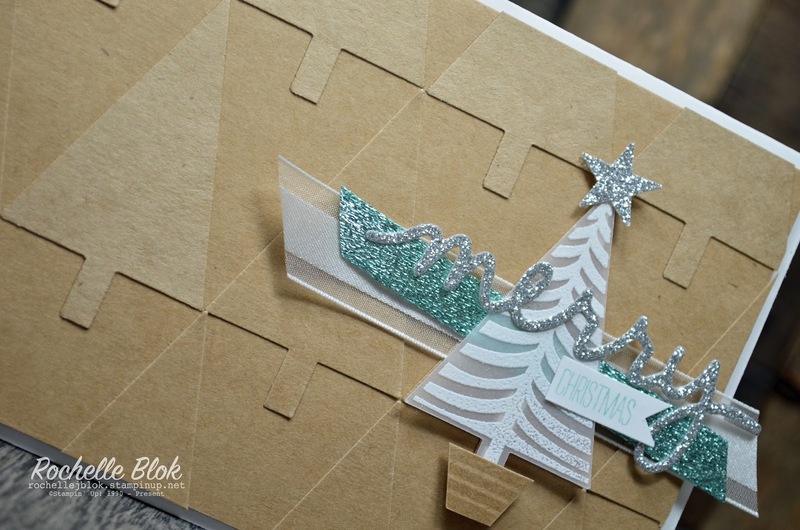 I've been loving the Kraft Corrugated Cardstock of late but I think the white is just as cool too if not better! I've then made a quick belly band to go around the envelope to 'pretty' it up. You can't give a plain envelope in my book. Whether it be an envelope for a card or a little envelope for a gift card. It has to be dressed up in some way. The trees are stamped from the Festival of Trees stamp set and then its finished off with some bling. Thanks so much for stopping by today! 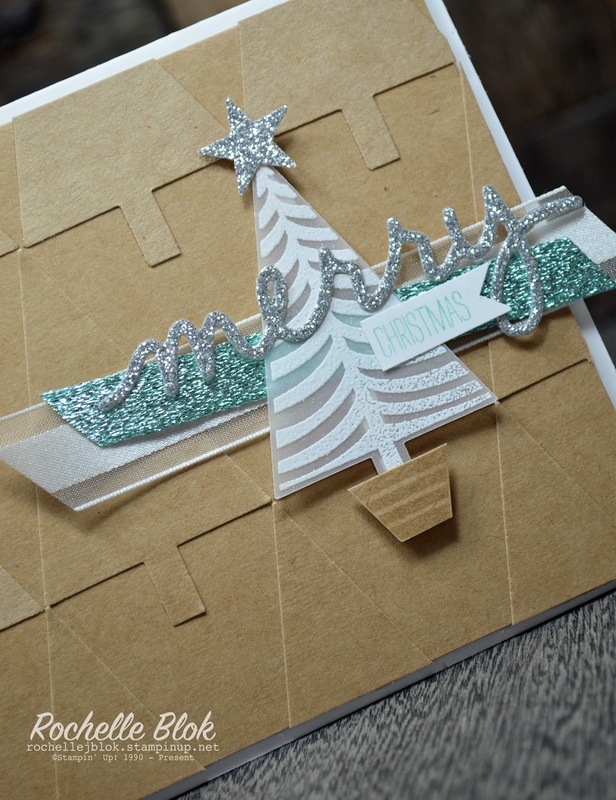 Please go and check out the rest of the Just Add Ink Design Team to see what inspired them with their gift card and come and show us your creation! I can't wait to see it! Hello and a BIG welcome to you today! It's the last INKreators Blog Hop for the year and we are giving you a little teaser for some of the products that will be on offer for Stampin' Up!s Sale-a-bration event starting January 5th till 31st March 2016. 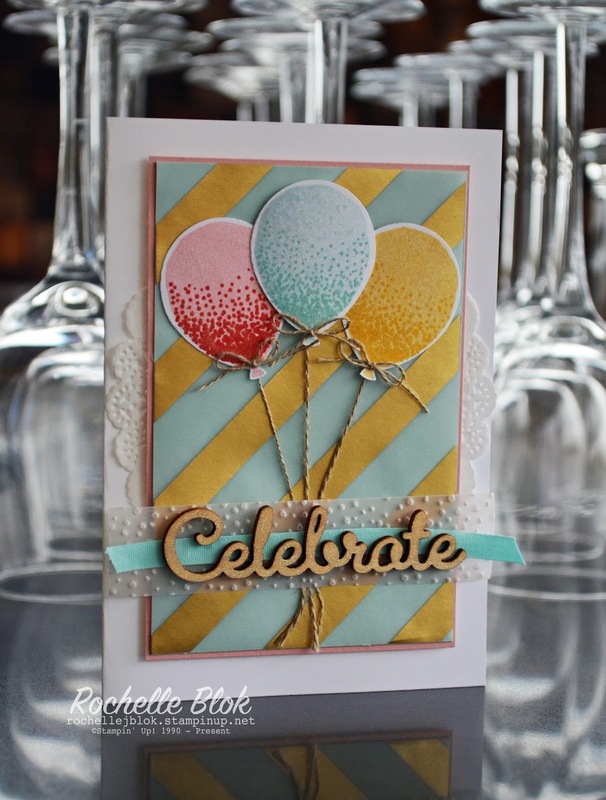 Sale-a-bration is Stampin' Up!s biggest event of the year where you can earn FREEBIES!!!! For every $90AUD spent you can get one exclusive Sale-a-bration product free. There are other ways you can get FREEBIES just ask me how! For my creations today I've chosen to use the gorgeous Sale-a-bration exclusive floral stamp set, Flowering Fields. I really wanted to keep my cards today very CAS. The images in the stamp set are very delicate and intricate and I just wanted to be able to stamp them straight on to my creations. So no fussy cutting or colouring or anything like that. Just something that is quick and easy and easy to re-create. I hope that when Sale-a-bration comes around that you will love this set as much as I do. It's just gorgeous! I hope that you've enjoyed our INKreators hops this year and had a great time following them. Till Jan 2016 for our next hop! Make sure you continue on to Lauren from Love Life Lauren. She is one talented chick! 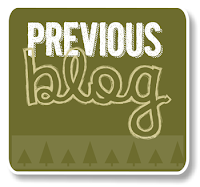 Click on the next button below to get to Lauren's blog. Hello and happy Sunday! I hope that you've had a wonderful day. Mine has been a day spent in the sun with friends visiting for a B.B.Q lunch and enjoying the fabulous summer weather! For anyone that knows me you would say that I'm in my element because summer is my most favourite season. When the sun is out the world just feels like a better place. Today at Can You Case It? we have a colour combo challenge for you for the Christmas season. You get to choose which combination you like the best! 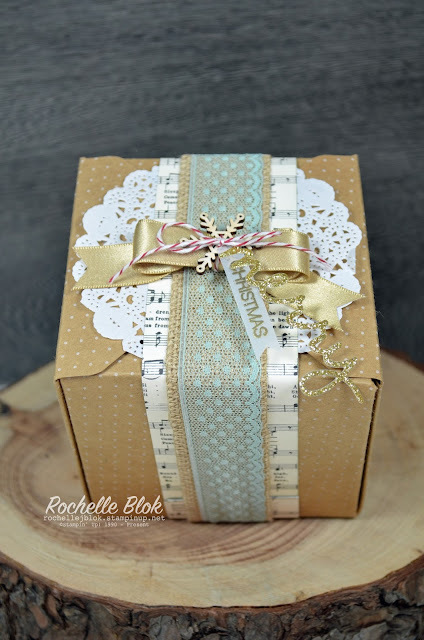 I'm really loving some of the natural colour combinations for a lot of the Christmas creations and wrappings that I've seen recently and I've tried to recreate that feel with my gift box. 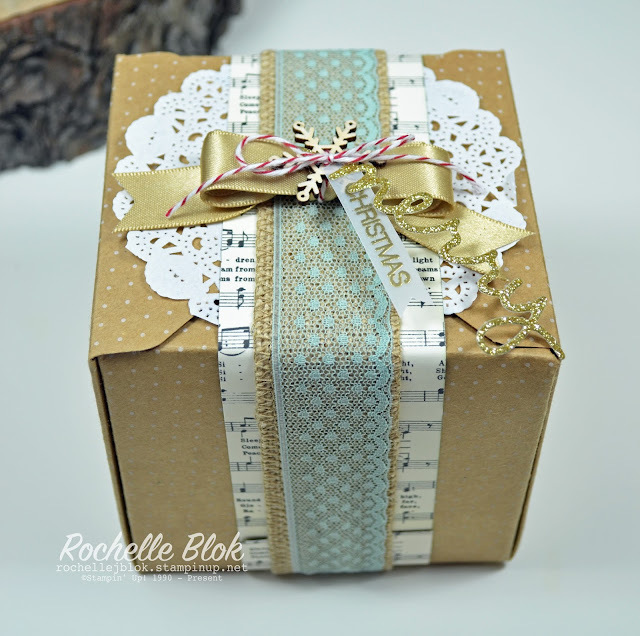 The box is made with the gift box punch board. That board is so easy to use and you have a beautiful box whipped up in seconds. I don't normally post retired products here but the box is made with the Under the Tree Speciality Designer Series Paper that was made to be used with the gift box punch board and I still had a bit of it left from last Christmas. If you wanted to you could just use the 12x12 Kraft cardstock and that would give you a sturdy box too. I've made the belly band with the Home for Christmas DSP, Burlap Ribbon and Mint Macaron Dotted Lace Trim. So pretty! 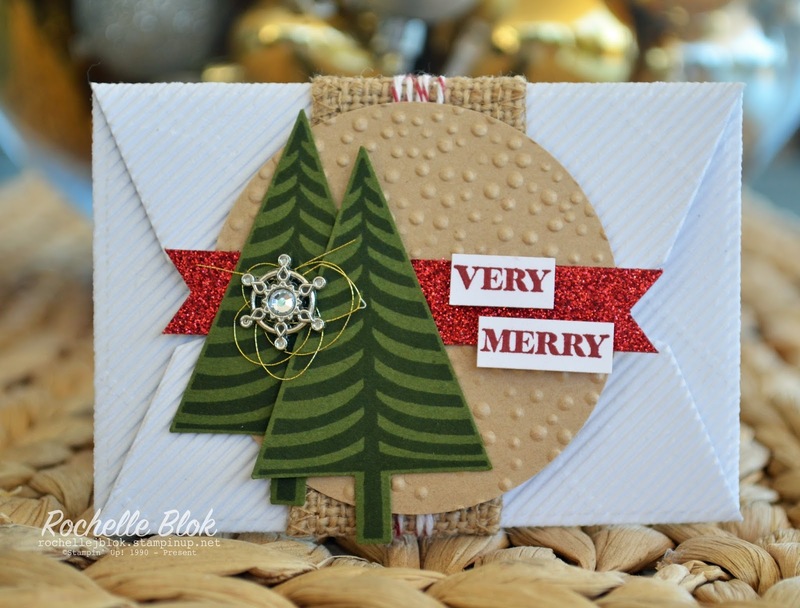 Its accented with the Tea Lace Doilies, Gold Satin Ribbon, Snowflake Elements, Cherry Cobbler Bakers Twine and the 'Merry' and 'Christmas' from the Holly Jolly Greetings Stamp set and the Christmas Greetings Thinlits. There are touches of Red, Green and Gold, the traditional Christmas Colours but just done in a different way. Make sure you check out the rest of the Can You Case It? Design Team and their Christmas colour combinations. Make sure you leave us to comments and love as we really enjoy what you all think of our creations and enter in this weeks challenge. Can't wait to see you Christmas Colour Combinations. Hello and welcome to another edition of The Stamp Review Crew. 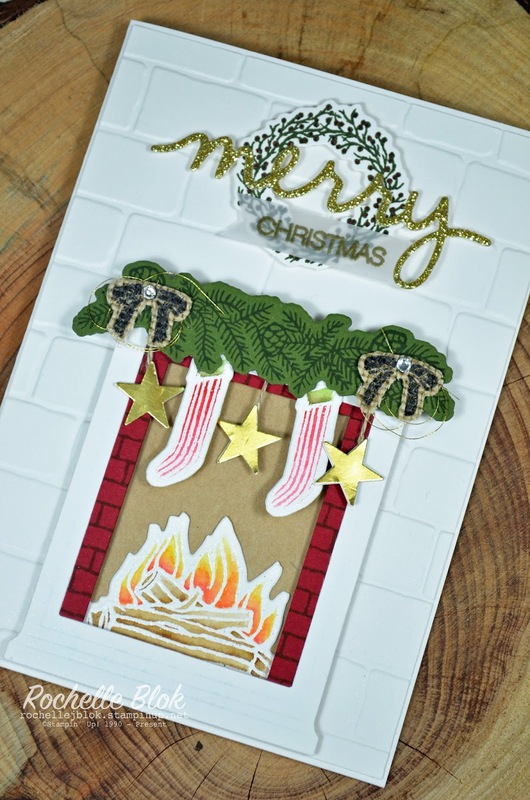 We have a very festive edition for you today because we are showcasing the Stampin' Up! 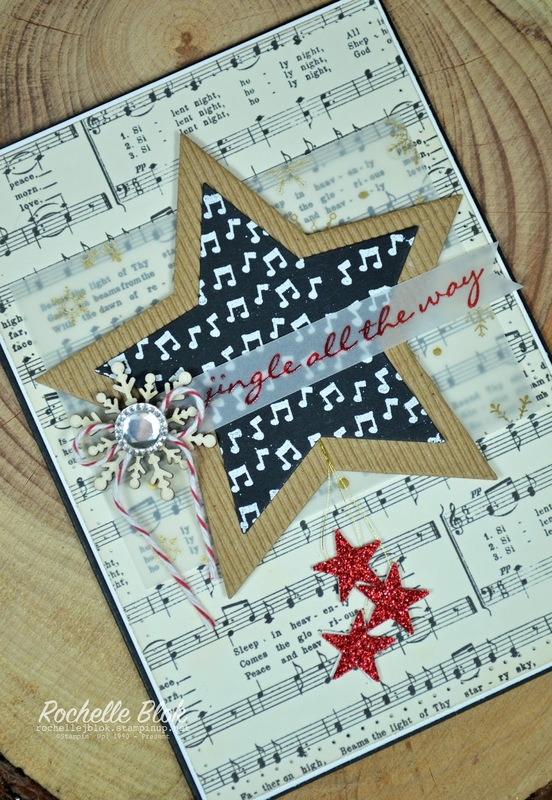 stamp set - Jingle All the Way. Here's a little bit about us if you are hopping with us for the first time. We are a group of International Stampin' Up! demonstrators and we hold a blog hop of the first and third Monday of each month. Each hop showcases one stamp set and we like to show you lots of different creative ways to use it! Remember, if you get lost on the hop click on the banner at the top of this post and this will give you the list of all the 'hoppers' in The Stamp Review Crew. If you've come from Tanya Boser you are on you way round through the hop. I hope that you have been inspired by the creative talent so far and I hop that I don't disappoint. The Jingle All the Way stamp set is such a fabulous set and it goes with the even more fabulous edgelit set Sleigh Ride. 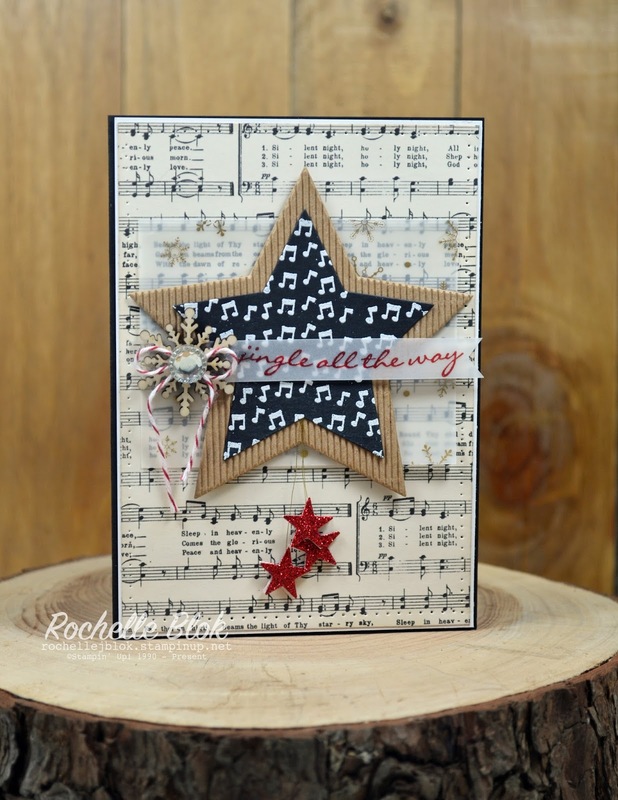 There are some fabulous creations out there on the Internet using both the stamp set and the edgelits. I wanted to today just use the stamp set and have a little play with just that. 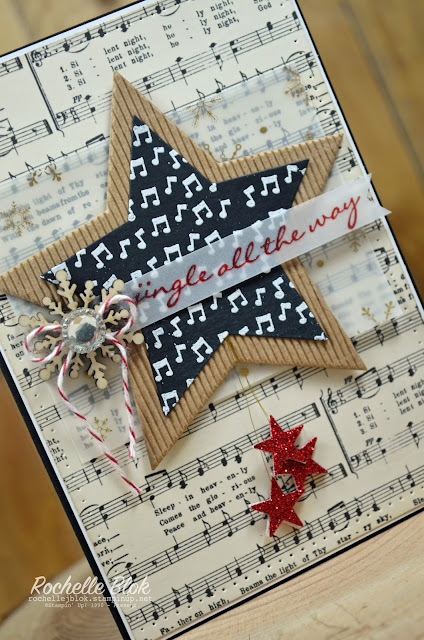 I've used the musical notes and the sentiment 'Jingle All the Way' from the stamp set and thought they would go perfectly with the music sheet DSP from the Home for Christmas DSP. I've embossed the music notes with White Stampin' Emboss Powder on to Basic Black cardstock. Those white embossed music notes just pop right off the Basic Black and are super cute! So that you could still see the music notes I stamped the sentiment on vellum with Cherry Cobbler ink and then quickly sprinkled over clear Stampin' Emboss Powder to have a gorgeous embossed and shiny sentiment. Thank you so much for stopping by! 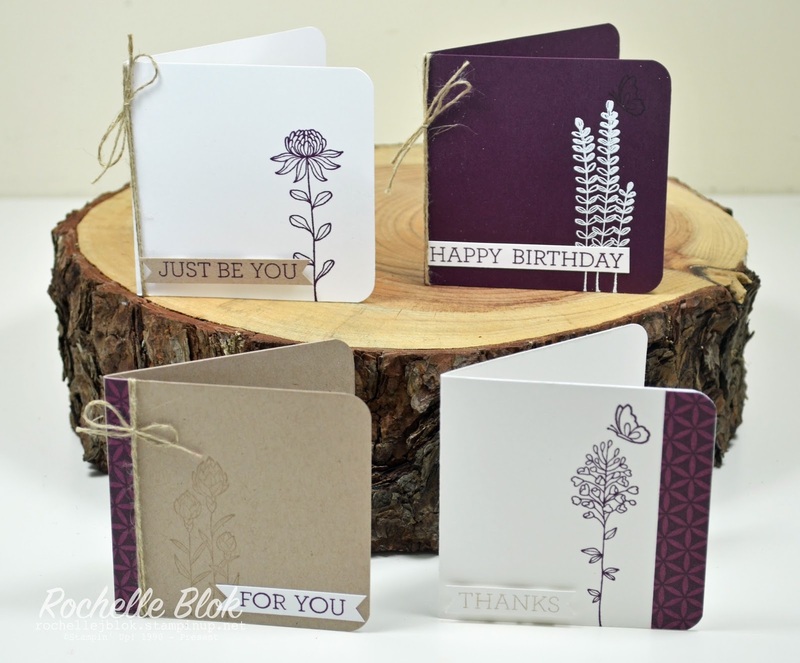 I really hope that inspired you to do some creating with this beautiful stamp set. Next stop on the hop is the amazing Betty Traciak. 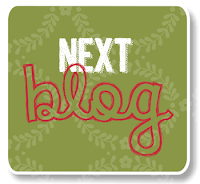 Click on the next blog button below to hop on over to her and show her some blog hop love. 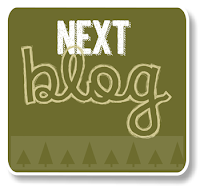 Remember please leave a comment on our blogs as we love to hear what you think of our creations. Hello and welcome! Thanks so much for stopping by. Today at Just Add Ink we have a new challenge brought to you by fellow team member Tina. Such a perfect challenge for this time of year - Just Add Anything with C. As you can probably guess my creation this week is - Christmas. I've had another play around with the awesome set Festive Fireplace and the co-ordinating framelits. 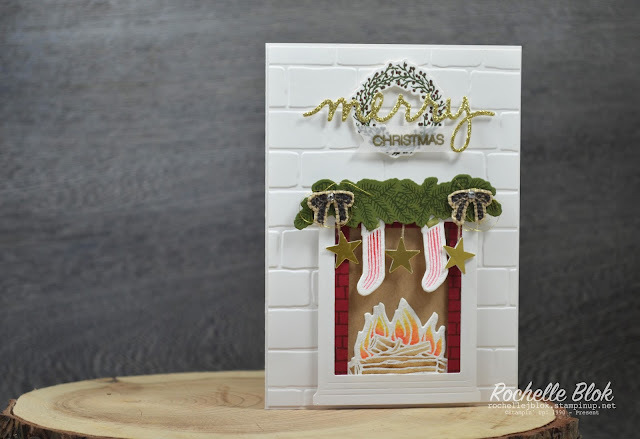 The inspiration for this card has come from real life pictures of beautifully decorated fireplaces that I've seen on Pinterest. A lot of the pieces and elements from the stamp set and framelits make it easy to recreate these real life pictures. I've seen a bit of burlap, yes on Pinterest again (great for ideas and wasting time), that is printed or stamped on so I thought I would try it and see what happens. I used the Basic Black Archival Ink and stamped the bow on the burlap. I then used the matching framelit to cut out the bow. 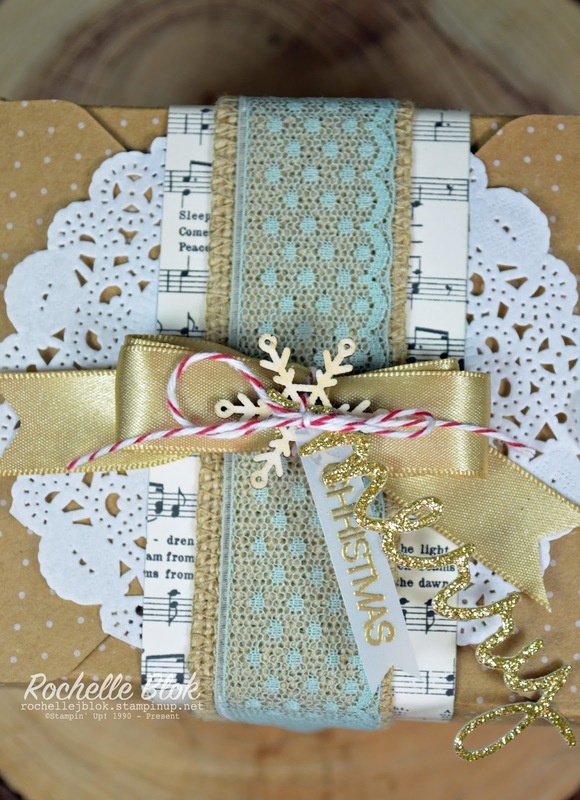 Looking forward to having a bit more of a play around with some more stamping on the burlap ribbon. Thanks so much for stopping by! I hope that you've enjoyed my Just Add Ink 'C' project. Be sure to go and check out the amazing Design Team and come and play along too. Looking forward to seeing your 'C' project.